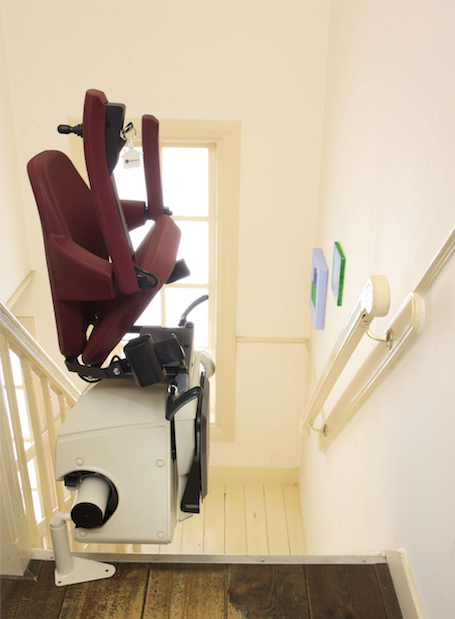 Handicare has produced and installed lifts for more than 125 years and has many satisfied and happy users worldwide. Our innovations have created some of the most comfortable, safe and quiet stairlifts. 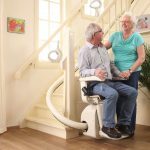 A curved stairlift from Handicare is not only convenient, but also looks great and fits almost any home with its variety of available seats and rail colors. 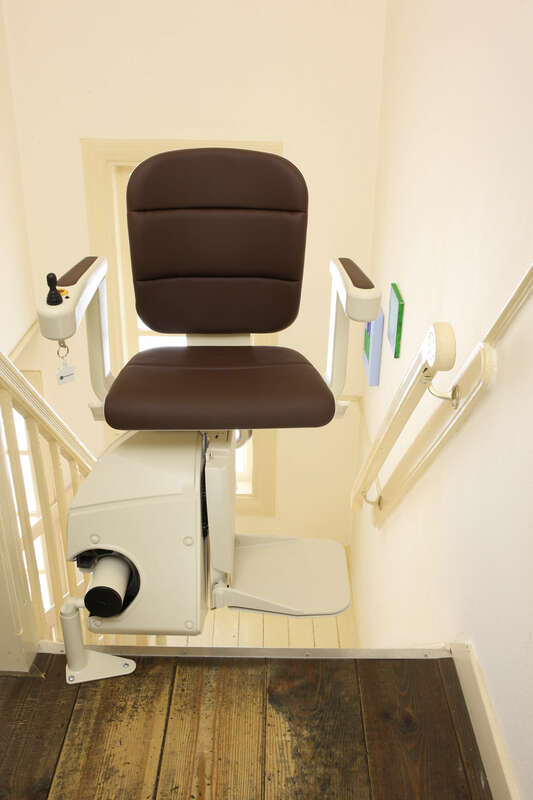 Top quality in all respects, a Handicare stairlift will be a convenient and valuable asset. You will have independence with contemporary design and maximum safety for a price that will certainly appeal to you. 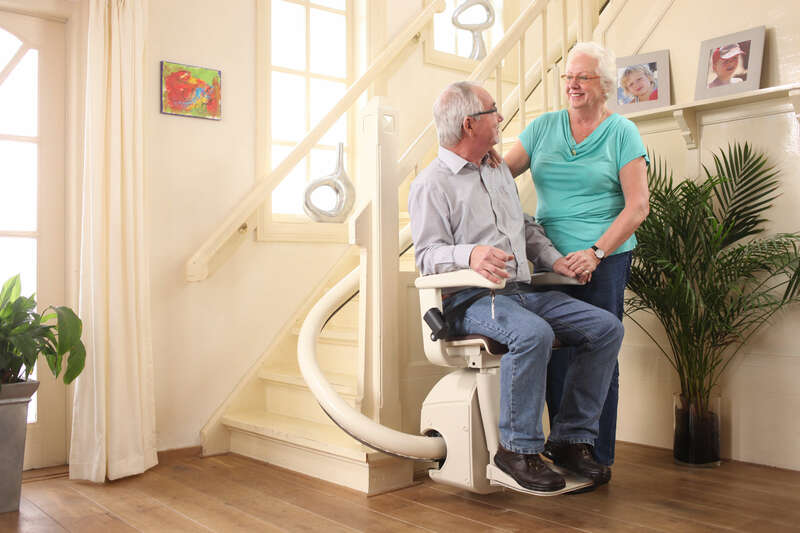 With a one-off investment you will regain your mobility and be able to stay in your own home. 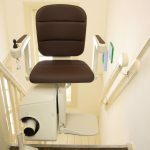 A Handicare stairlift will provide you comfort, safety and confidence to again enjoy the place you love. 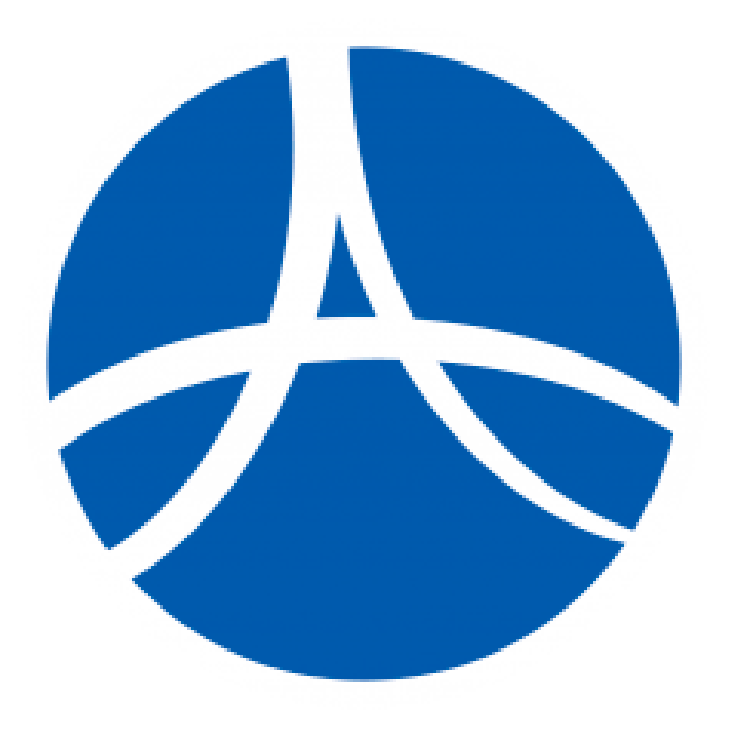 What Sets the HANDICARE FREECURVE apart from the others? 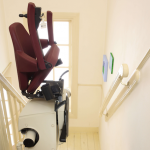 With light pressure on the call and send buttons the lift is always within arm’s reach. 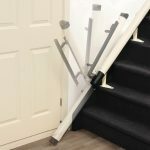 This easy to use control can be positioned on the left or right arm. The key can be removed to prevent unauthorized use. Fitted as standard for your protection and safety. The rail is available in three colors to suit your décor. For an additional fee the rail can be finished in any RAL color.